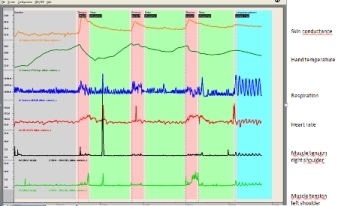 A psychophysiological stress profile is an assessment technique which is used to identify which areas of the client’s physiology needs to be addressed and how. Muscle tension in the shoulders, respiration, heart rate, skin conductance and hand temperature are measured in a 20-minute test. The test starts with a baseline measurement followed by an alternation of mental stressors and recovery periods. The psychophysiological stress profile shows what happens in the body in response to stress and provides insight into the ability of the client to relax and to regenerate after stress. The stress profile shows the cause of the problems more clearly so the treatment can be tailored better to the specific situation of the client. For the client it means knowledge of his physiology which helps to promote awareness and internal self regulation. This workshop is based on the article “The added value of stress profiling”. 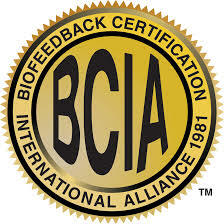 What’s a biofeedback stress profile? After completing this course the participant will be able to perform a 20-minute biofeedback stress profile using the modalities: muscle tension, respiration, heart rate, skin conductance and hand temperature. They are able to analyze the data and use the findings to develop a treatment plan. Health care professionals, like psychologists and physical therapists, who want to add biofeedback stress profiling as a technique to their clinical practice. This workshop is mentioned in the BCIA international section and can be used for BCIA recertification credits.